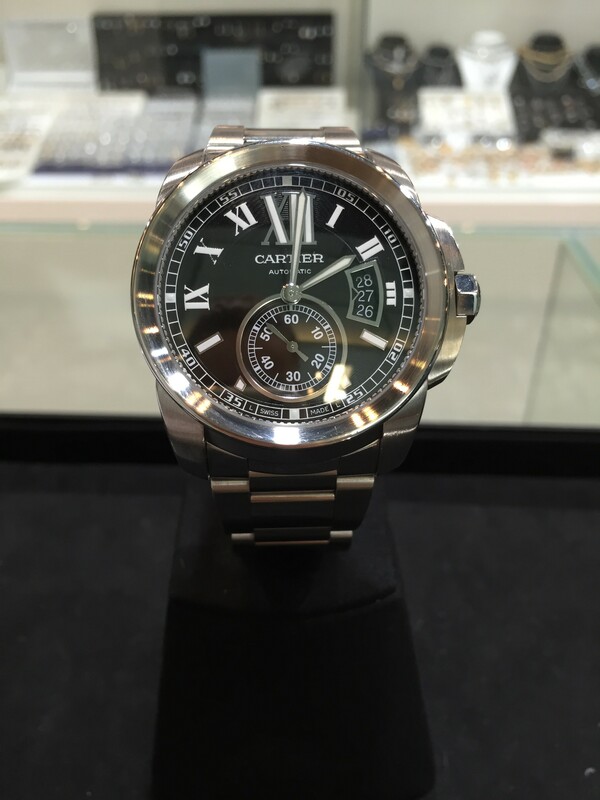 Contemporary and refined, the Calibre de Cartier watch reinterprets the round form in watchmaking with character and style. 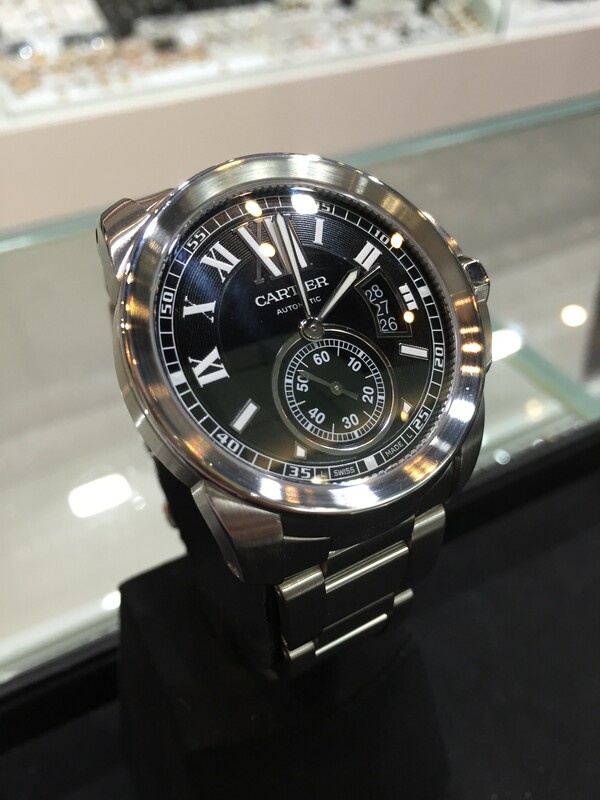 Equipped with the new Manufacture Cartier movement, the 1904 MC, this timepiece is a combination of sporting masculinity and exceptional expertise. 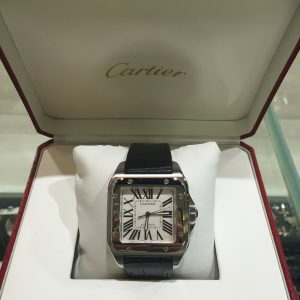 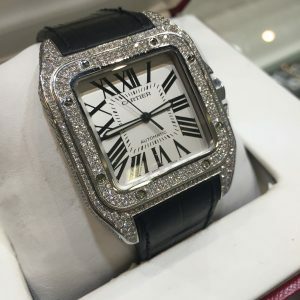 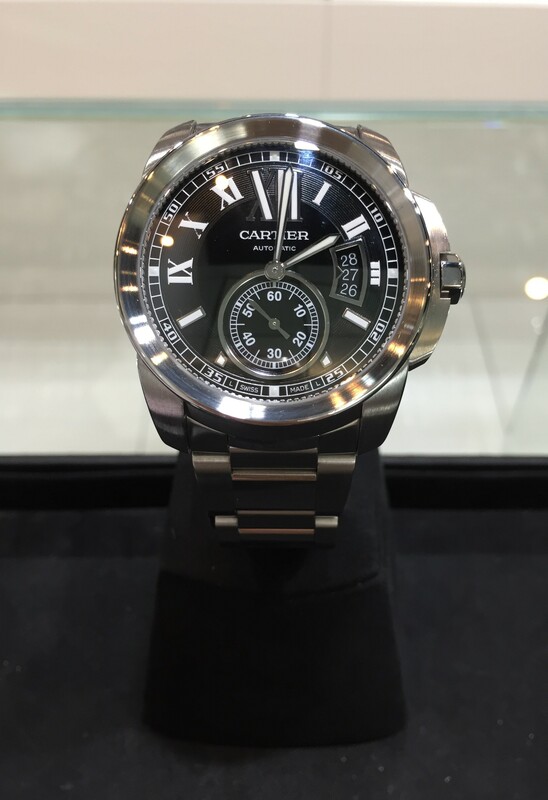 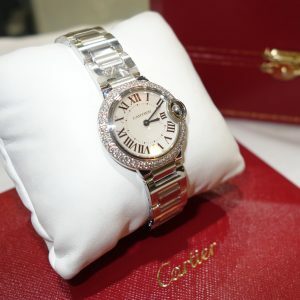 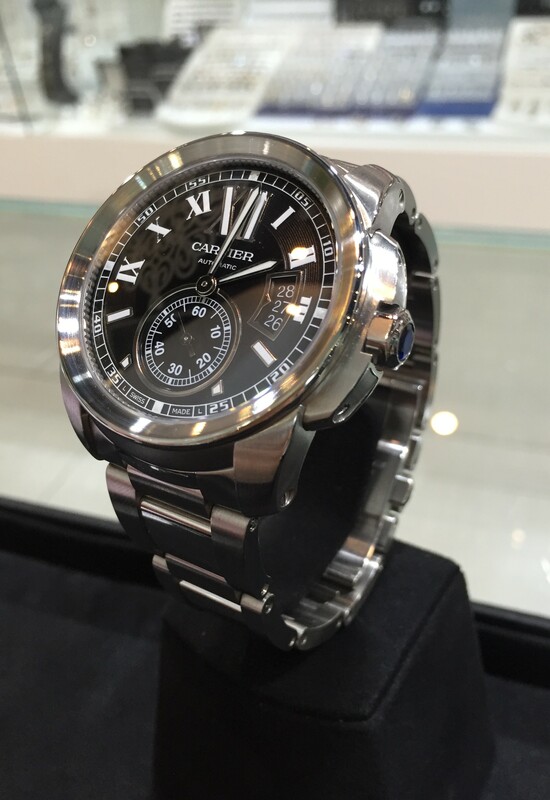 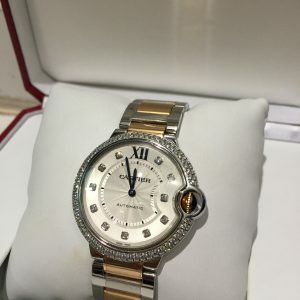 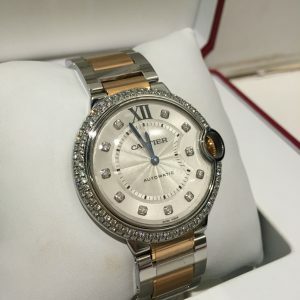 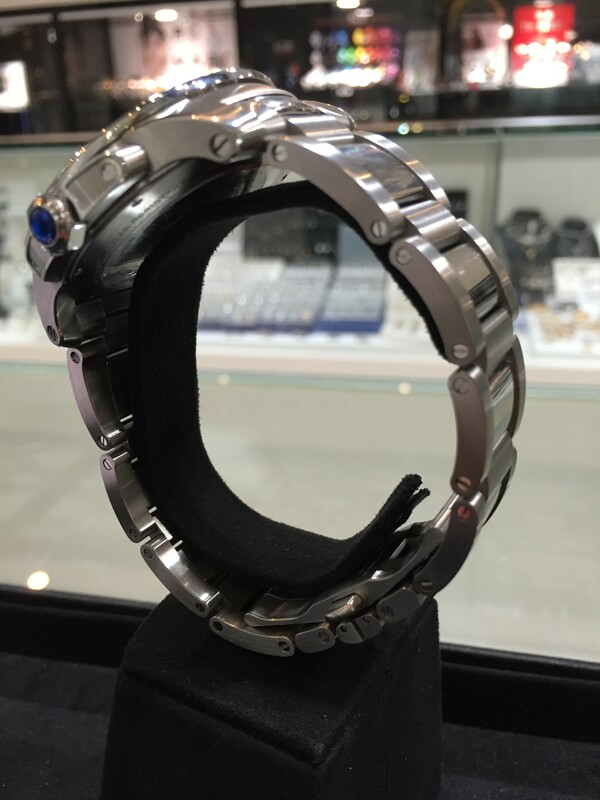 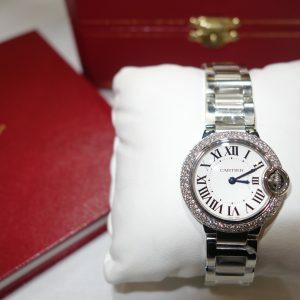 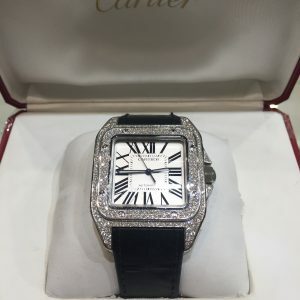 This watch is pre-owned, 2012 model in exceptional condition sold with box and papers. 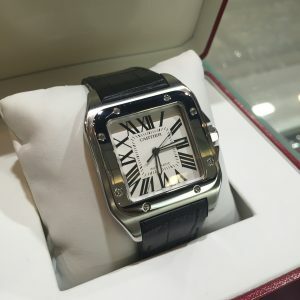 Stainless steel bracelet and case with black dial and roman numerals.